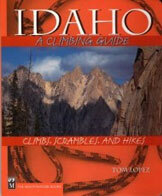 Lyman Dye is one of the Giants of Idaho climbing. 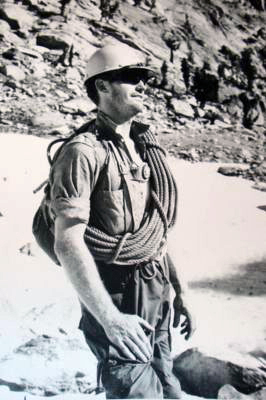 Lyman was a major contributor to the Sawtooth Range chapter in the book where his familiarity with the range, based on his many first ascents and leading clients to the tops of many peaks as part of his operation of the first guide service in the Sawtooths (discussed on page 22 of the book) was invaluable. He is also responsible for numerous first ascents in the Lost River Range and the Lemhi Range where, along with his EE DA HOW Mountaineers compatriots, he laid the foundation for technical climbing in central and eastern Idaho. The 1960s also saw considerable activity in the Lost River and Lemhi Ranges by members of the Idaho Alpine club and others. 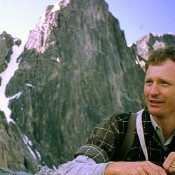 Lyman Dye, a Ucon, Idaho, native who learned to climb in the nearby Tetons, turned his attention to his home state in the early 1960s and went on to establish himself as one of Idaho’s premier climbers during the 1960s and 1970s, climbing successfully in the Sawtooths and in Idaho’s crumbling Lost River Range. Dye’s routes on the broken rock of the Lost River and Lemhi Ranges defy logic and have seldom, if ever, been repeated. Among his accomplishments are the first ascents of Diamond Peak’s west face, Mount McCaleb’s east face, Mount Borah’s east face and Bell Mountain’s north face and the treacherous north face of Mount Borah. Only those who have climbed in the Lost River Range can appreciate the beauty and difficulty of these climbs. In Lyman’s own words he discusses his 50 plus association with Mount Borah: “I started climbing Borah in 1957, done it in winter and helped with search for Guy Campbell and Vaughn Howard when they went missing after an attempt after Thanksgiving one year. Those were some of the most horrendous conditions I have ever seen on the mountain. Art Barnes and Wayne Boyer were with me on just about all of the climbs in the Little and Big Lost Rivers, and the White Clouds. We had a climbing group called the EE-DA-HOW Mountaineers. Wayne , his sons and I were on Borah a year ago last August when I was 80. It had been 57 years ago we climbed it together for the first time. Doctor says no more high elevations for me, sadly enough. We have been on it in almost every condition you can imagine. Winter, spring, summer and fall. Not many areas on the mountain I haven’t been on at least once. When I lived in Arco, Borah or King mountains were the conditioning climbs when each climbing season began.” Thanks to Bob Boyles for this quote. Mount Breitenbach was named for for Jake Breitenbach, who died during the 1963 American Everest Expedition as a result of Lyman’s efforts. 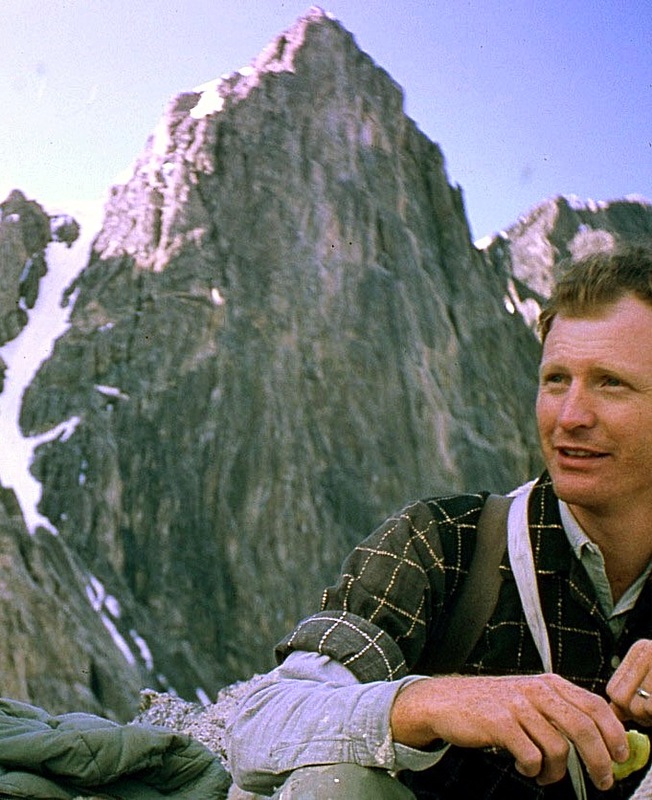 Lyman, who learned his mountaineering skills from Jake in the Tetons in the early 1960s, successfully petitioned the Governor of Idaho and the USGS to officially adopt the name. 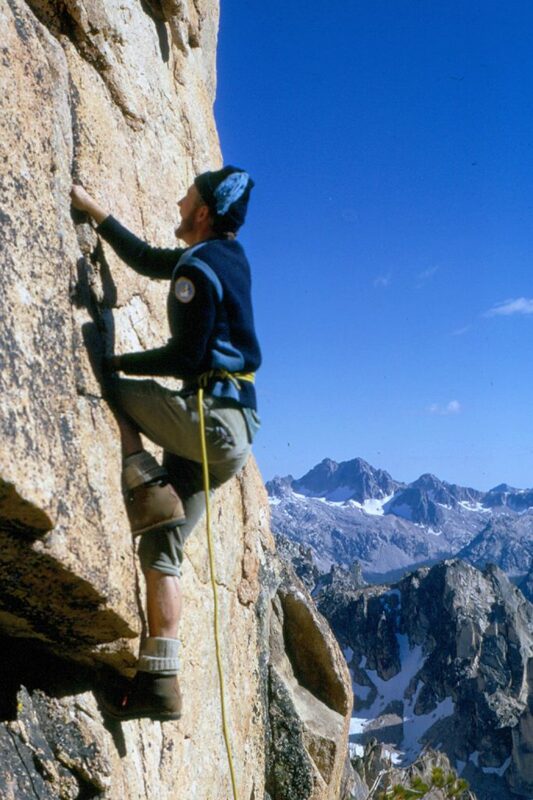 Lyman Dye also climbed extensively in the Tetons and the Lemhi Range. He climbed Bell Mountain from every side and pioneered the four most difficult routes on the summit block. Read Lyman’s reminisces in his article HEEDING THE CALL OF THE MOUNTAINS.